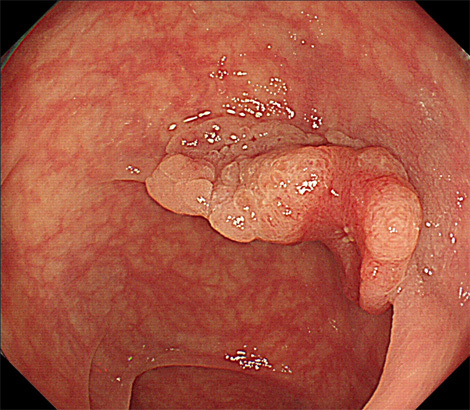 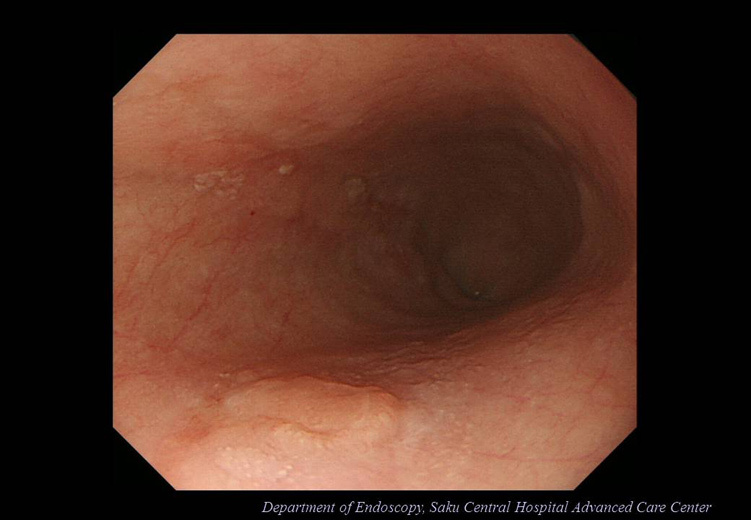 An esophageal tumor was found by screening endoscopy in the previous hospital. 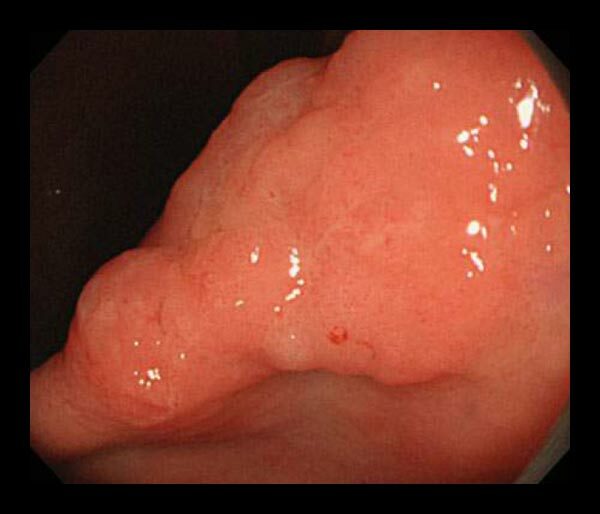 The lesion enlarged in 3 months, and the patient was referred to our hospital. 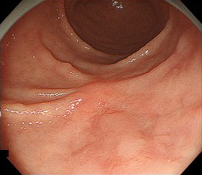 The patients underwent a follow-up endoscopy after previous endoscopic treatment for early gastric cancer. 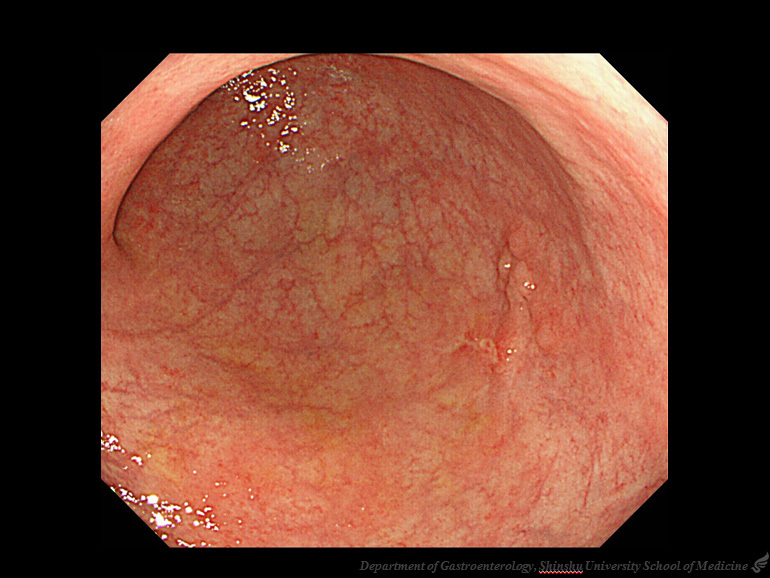 A new gastric lesion was pointed out, and he was referred to our hospital. 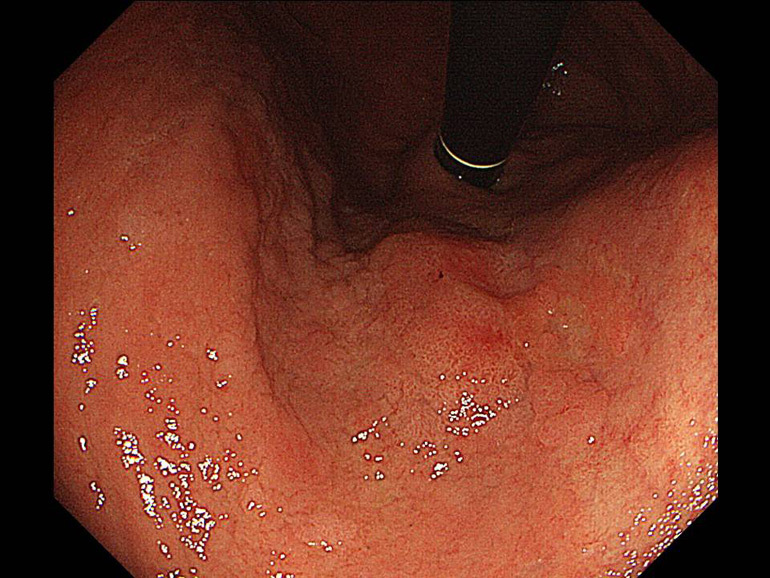 The patient was treated for early gastric cancer by ESD in 2015. 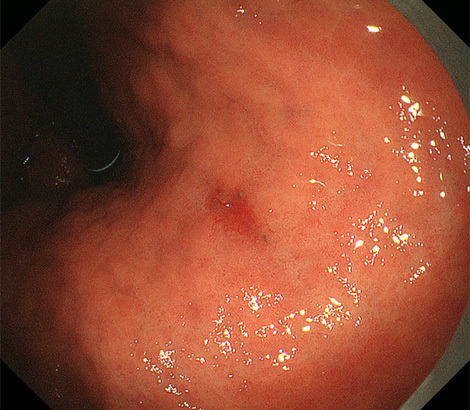 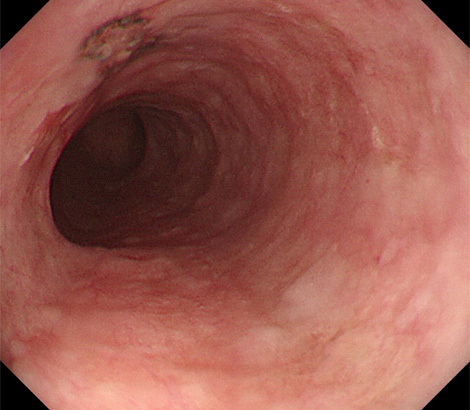 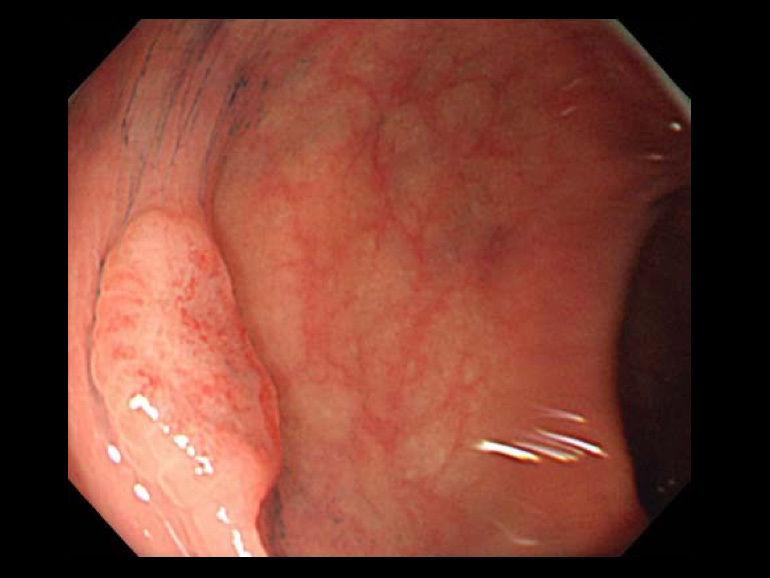 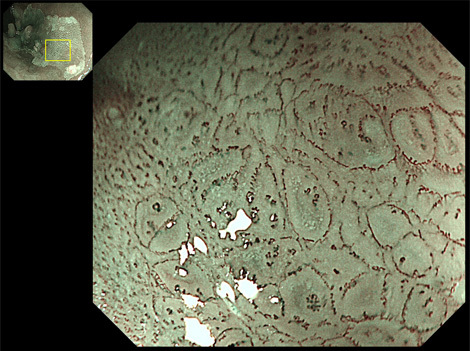 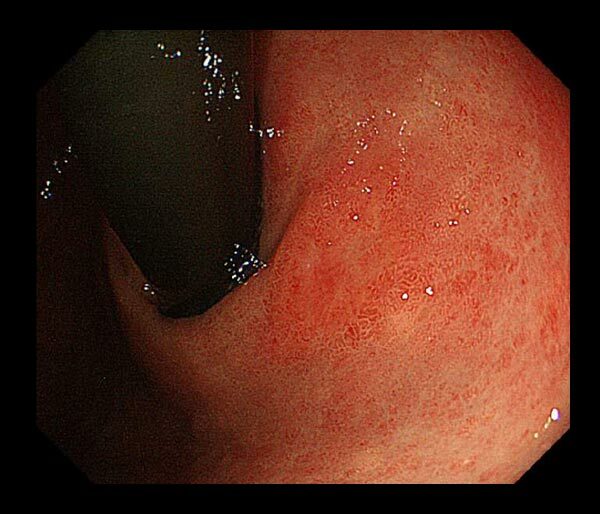 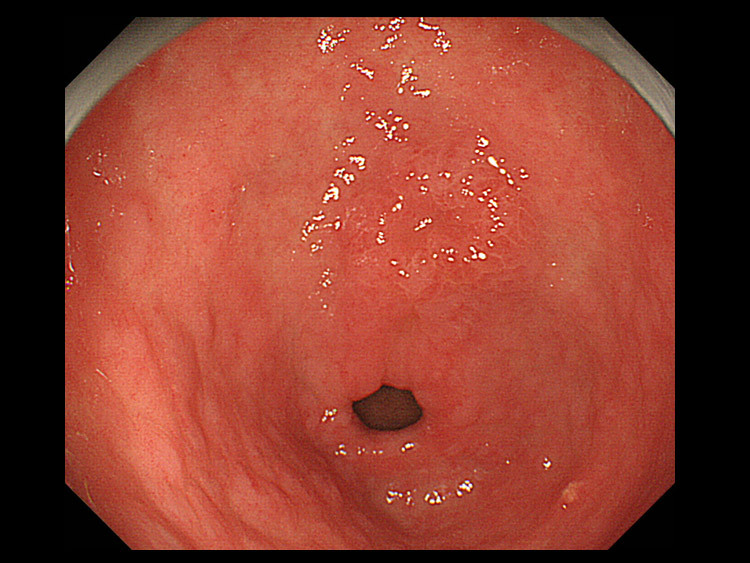 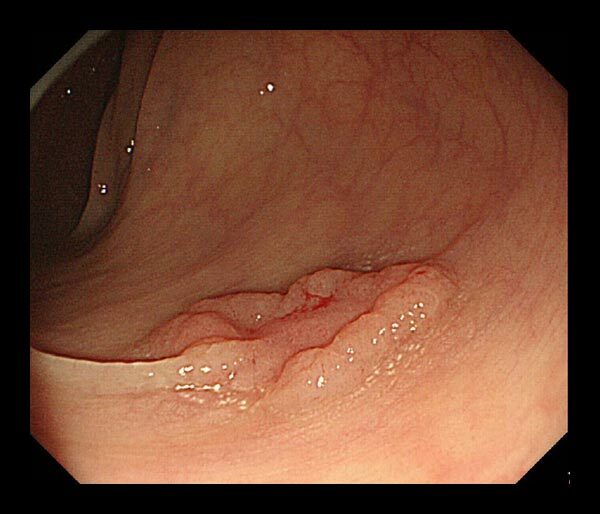 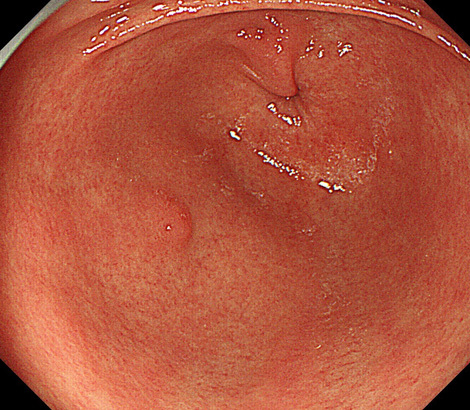 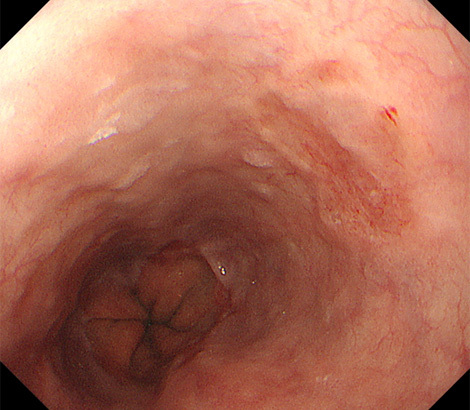 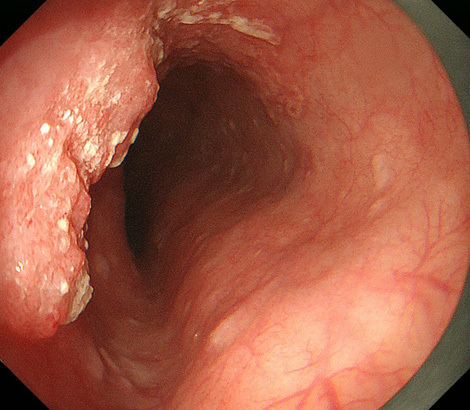 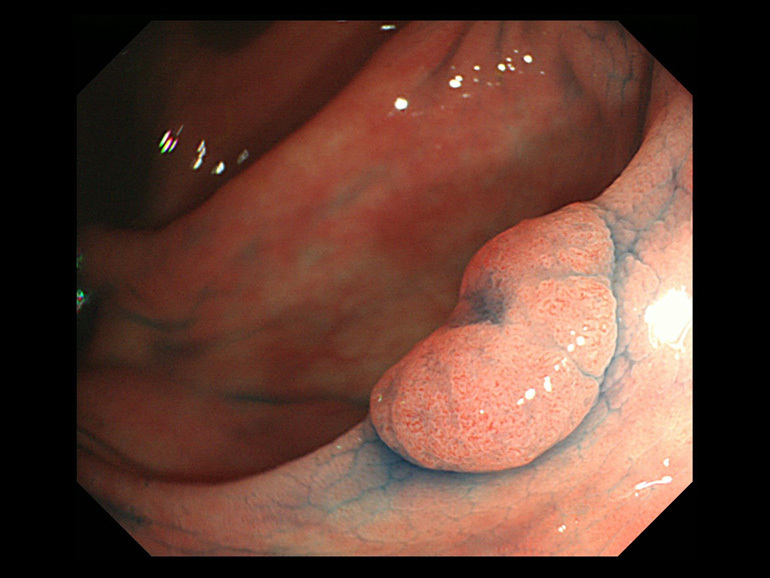 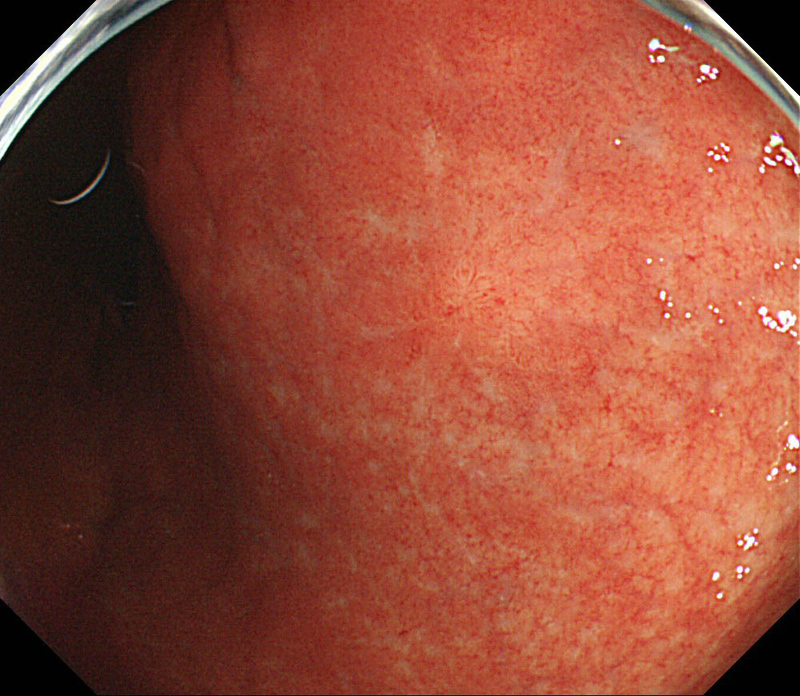 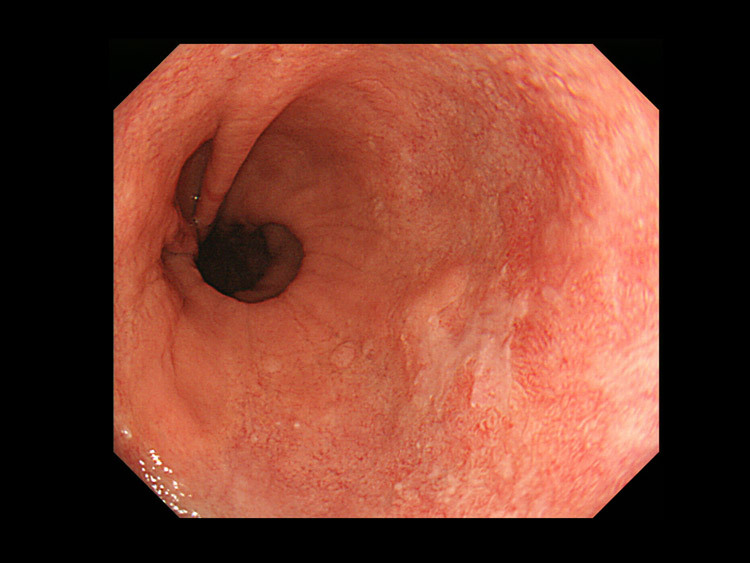 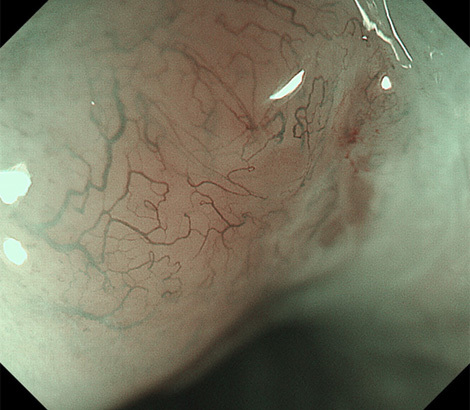 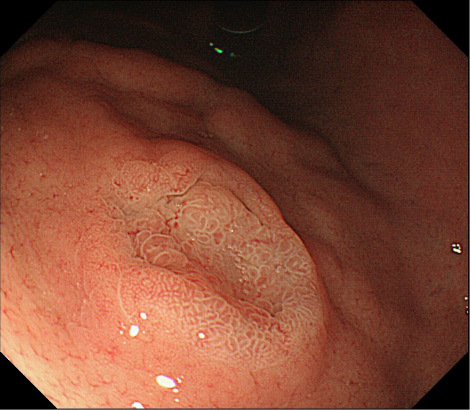 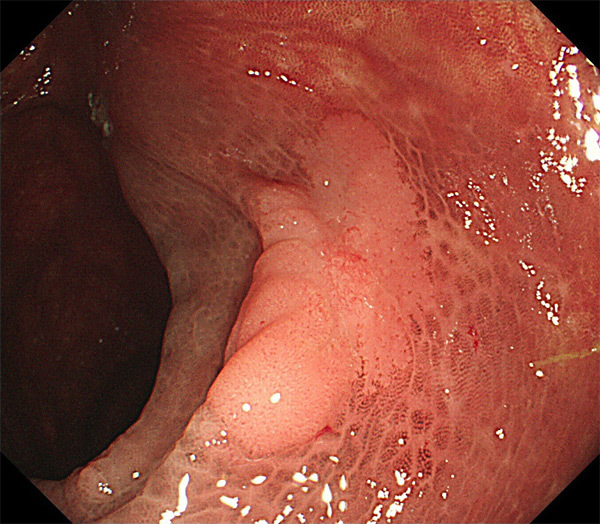 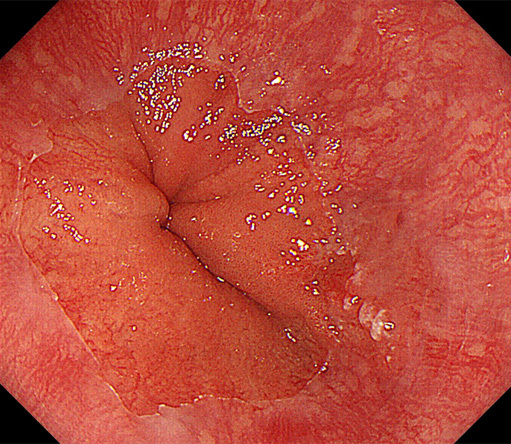 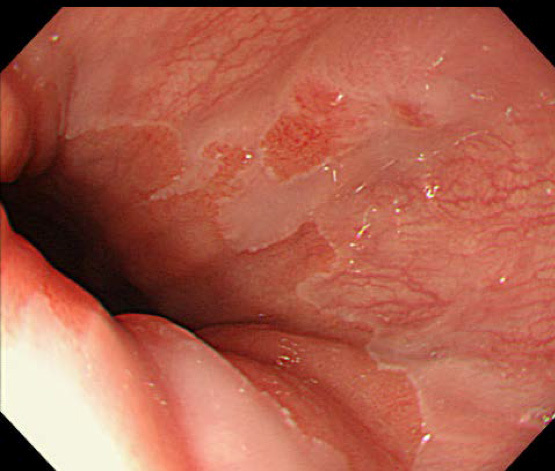 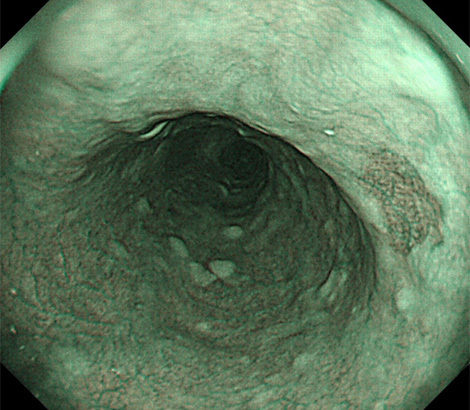 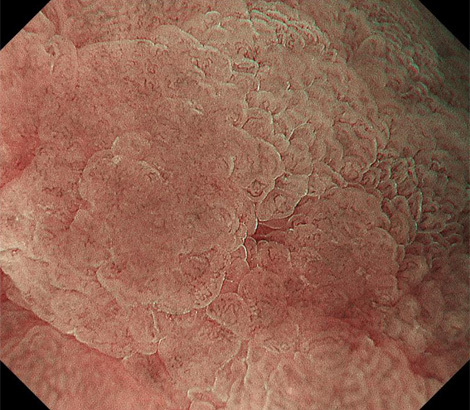 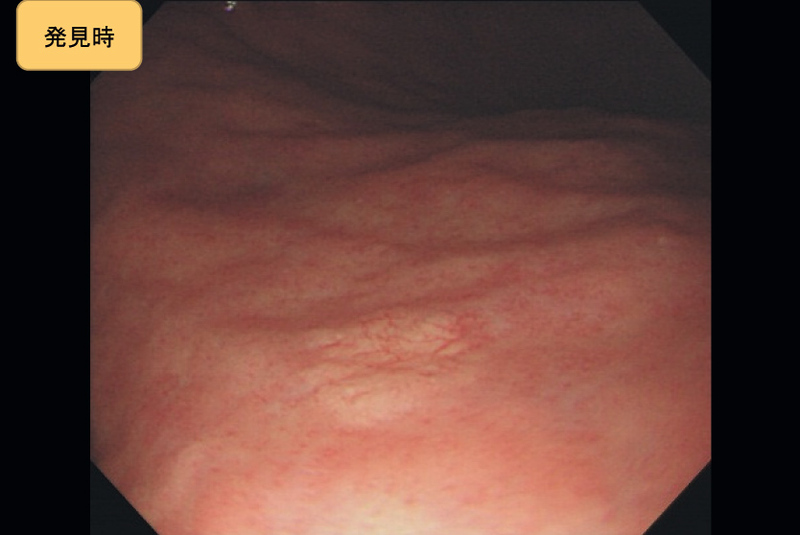 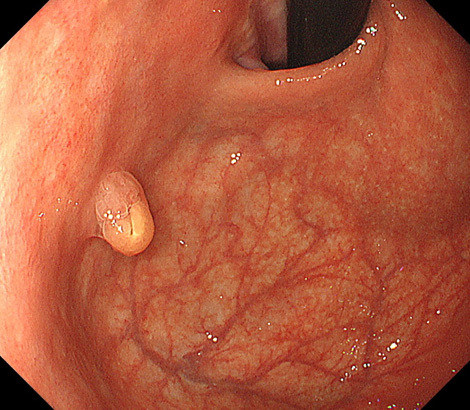 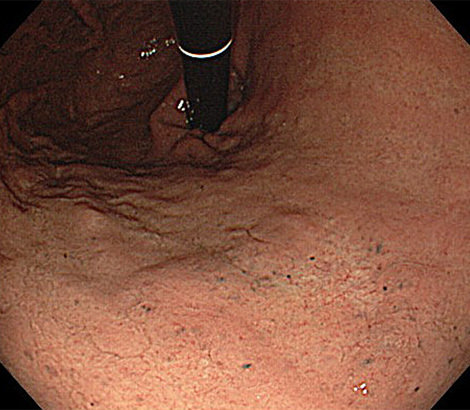 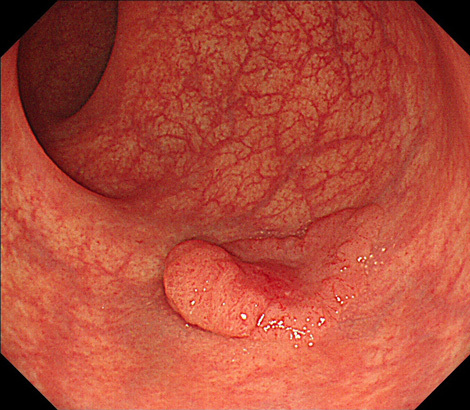 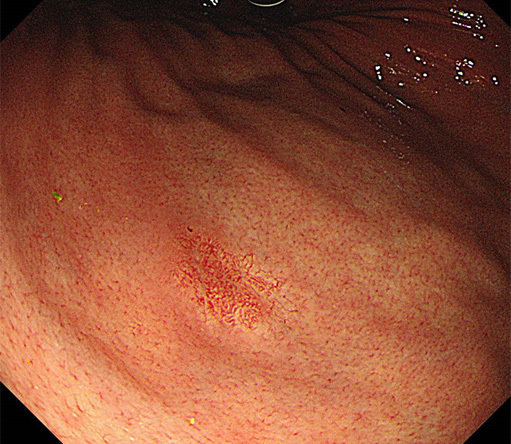 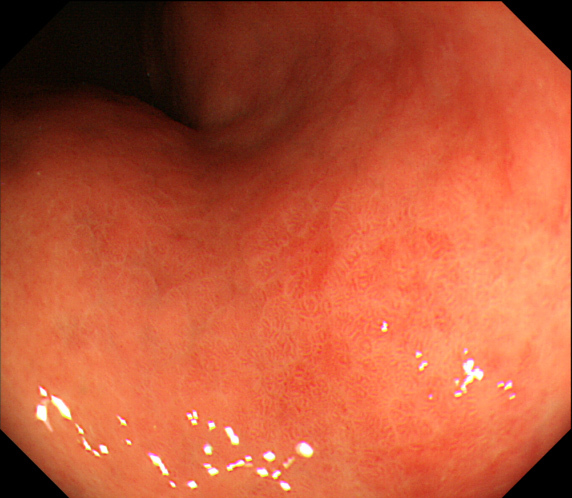 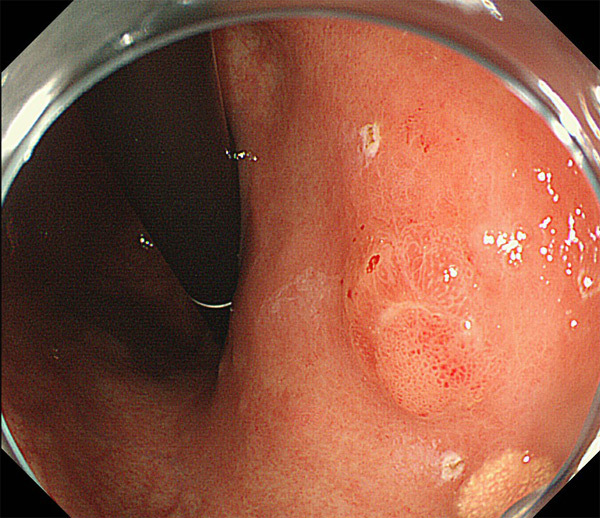 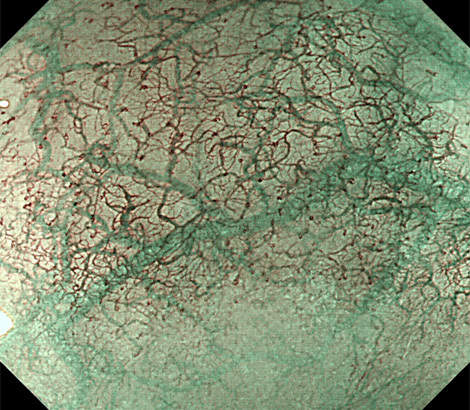 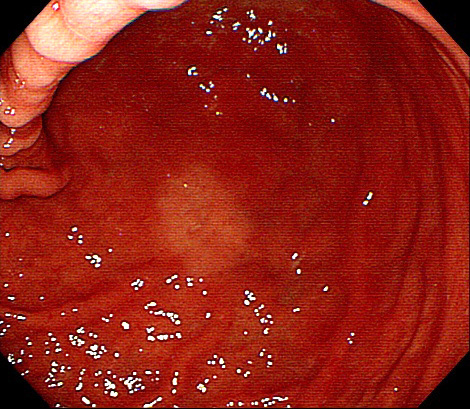 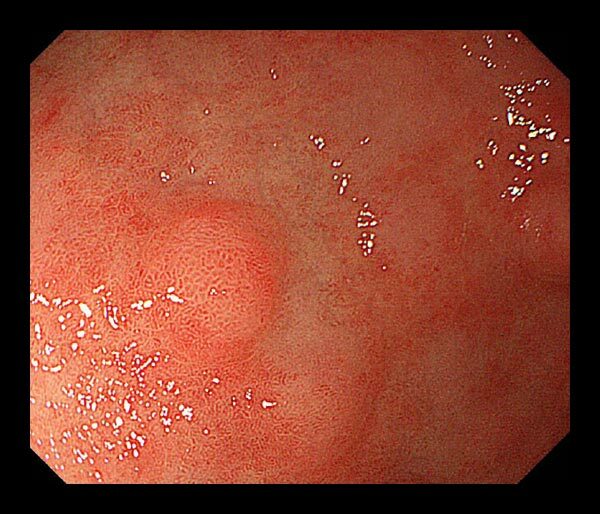 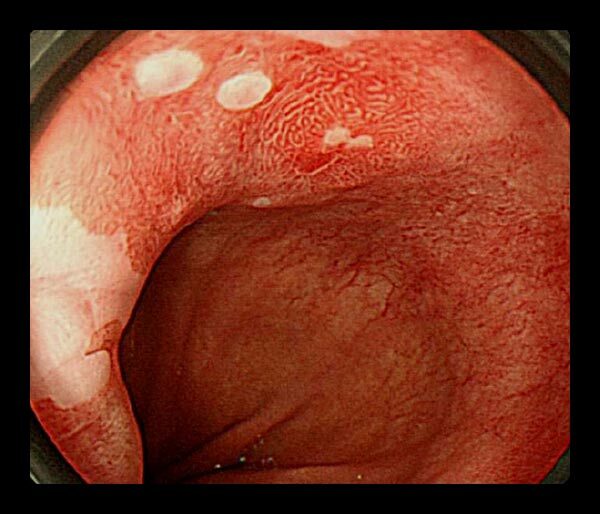 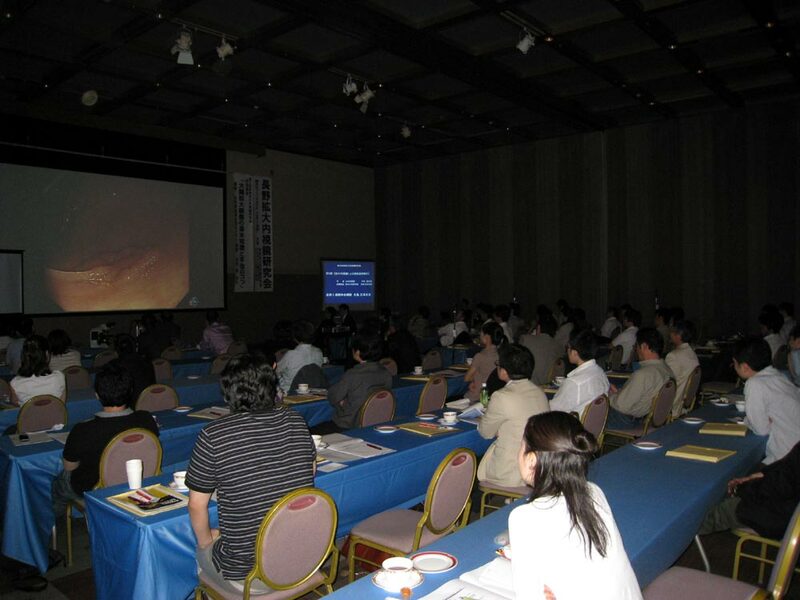 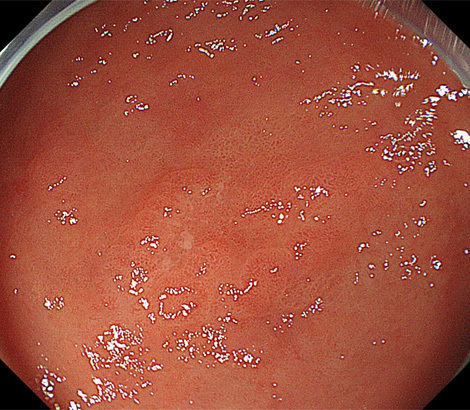 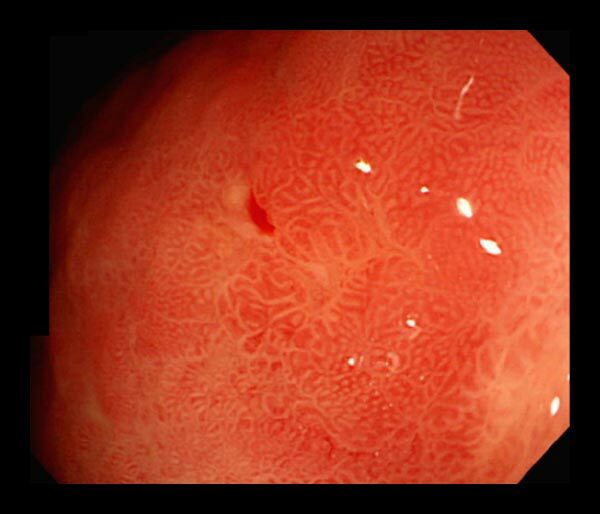 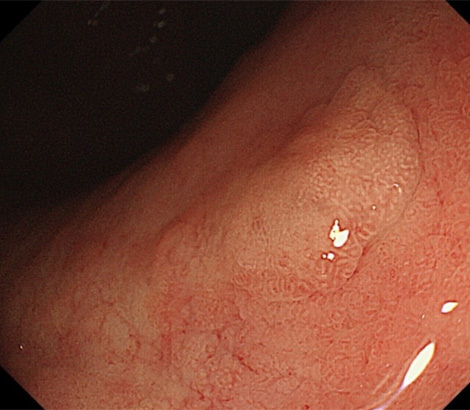 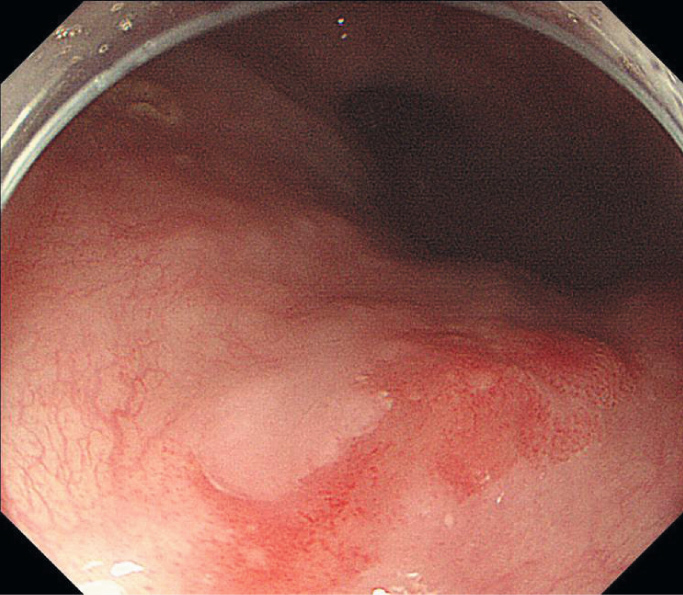 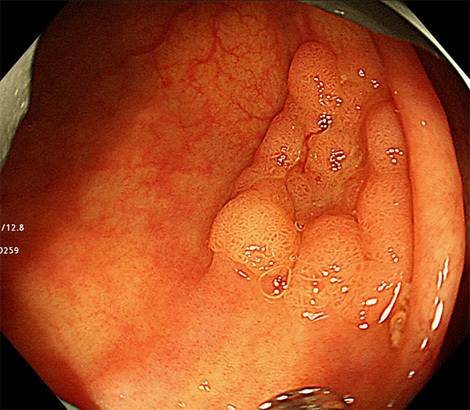 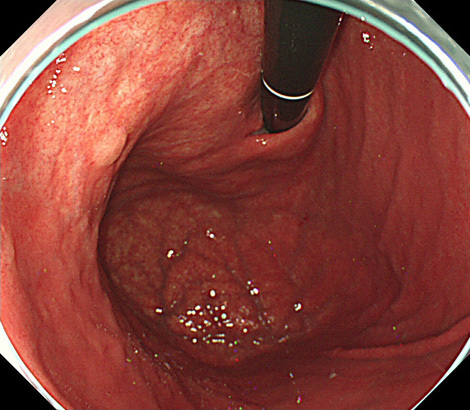 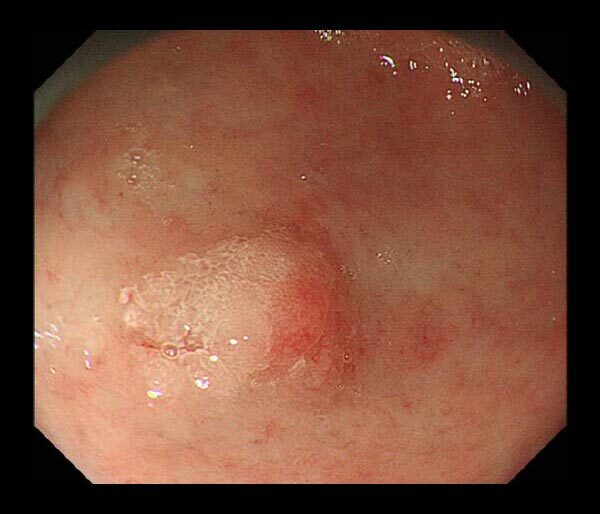 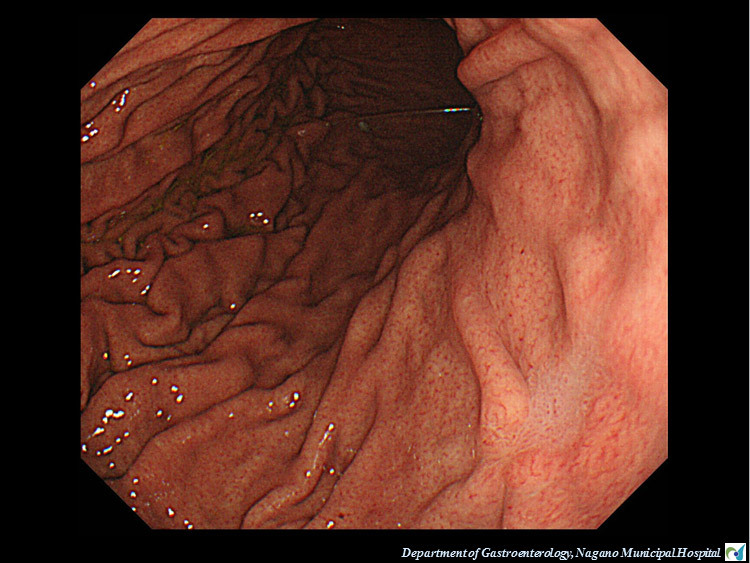 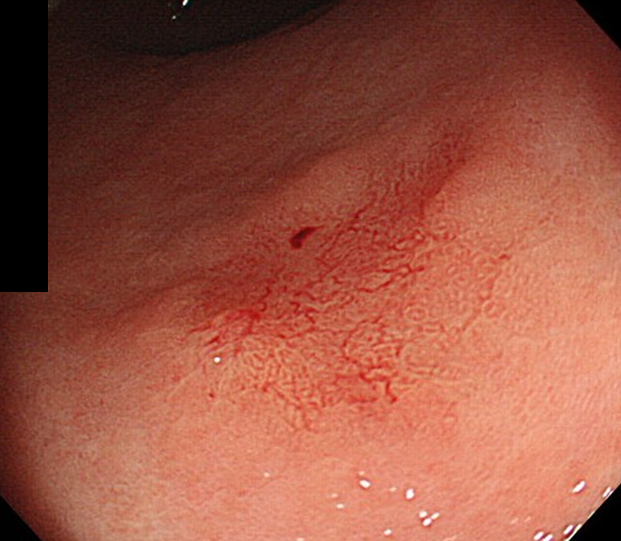 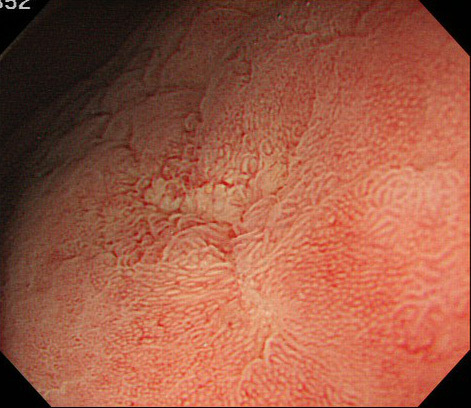 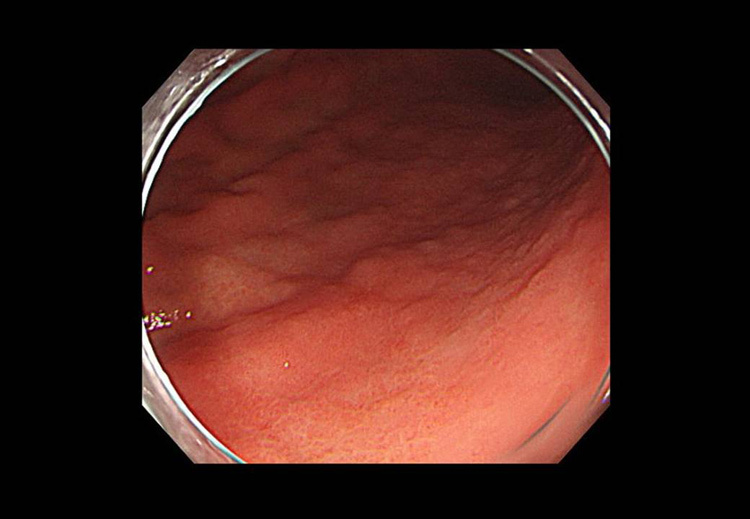 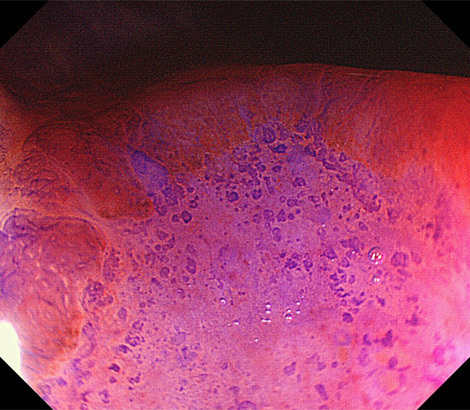 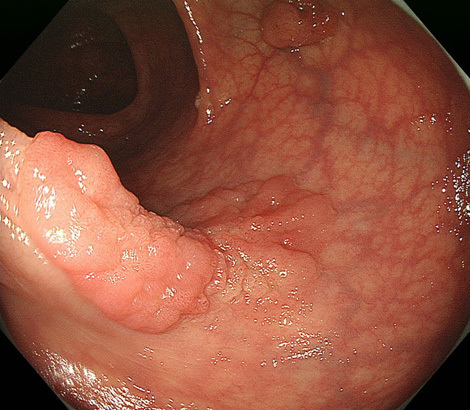 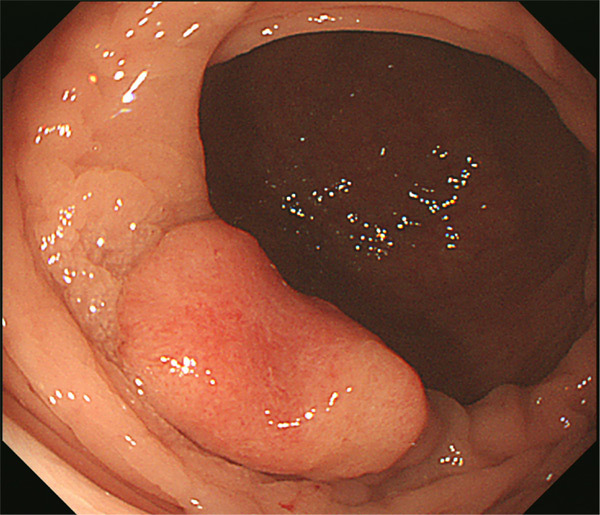 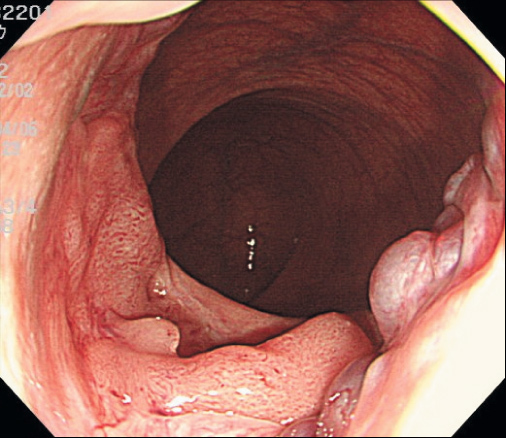 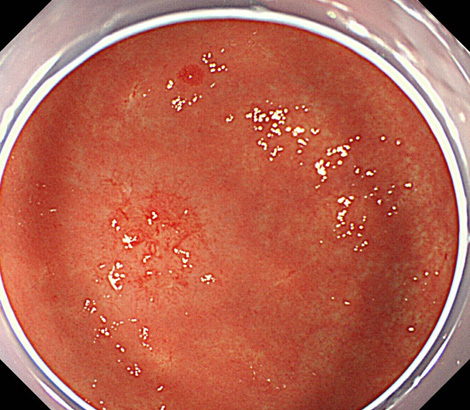 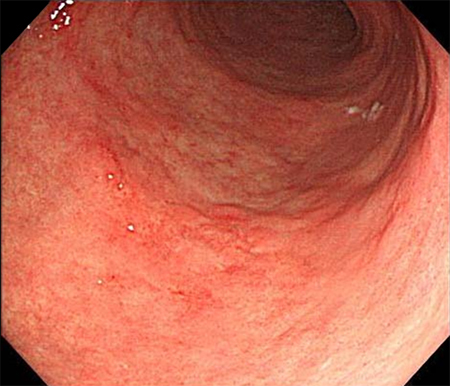 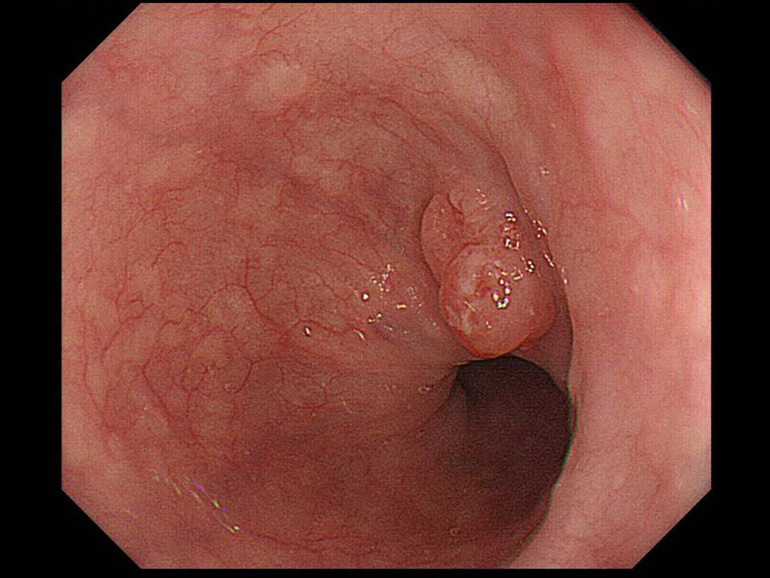 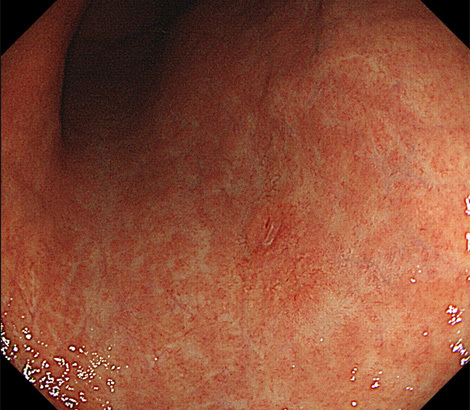 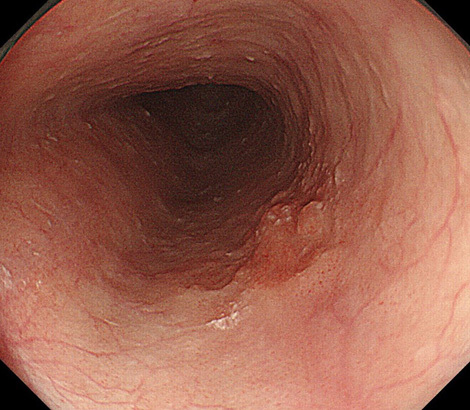 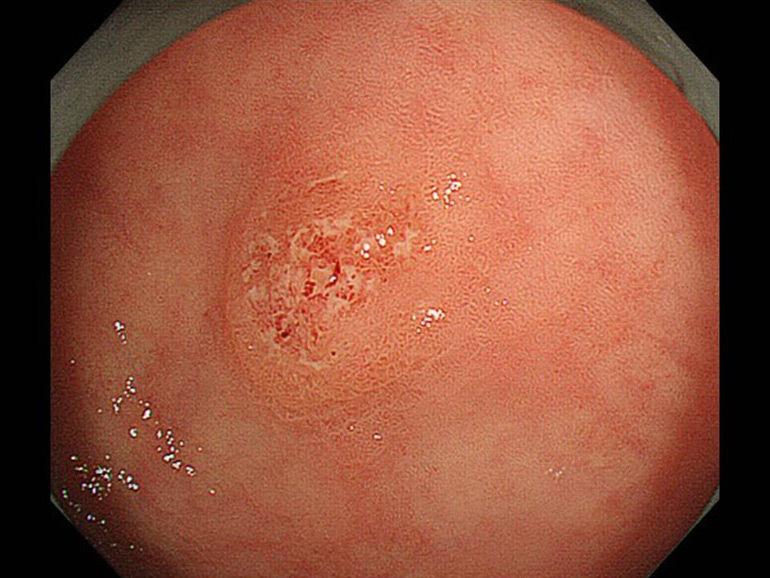 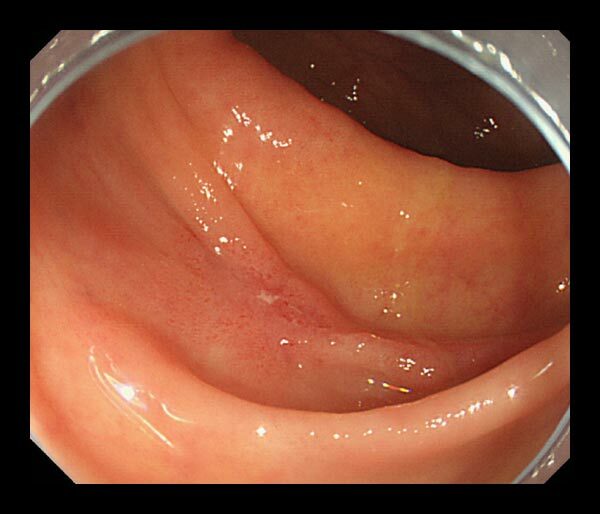 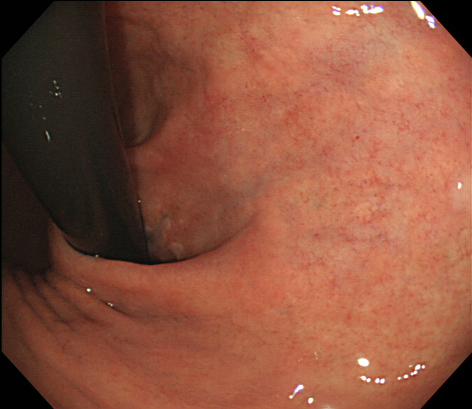 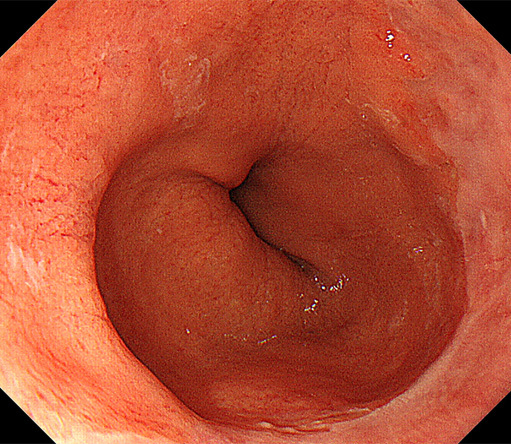 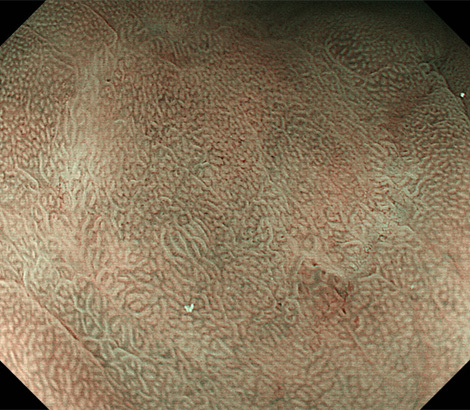 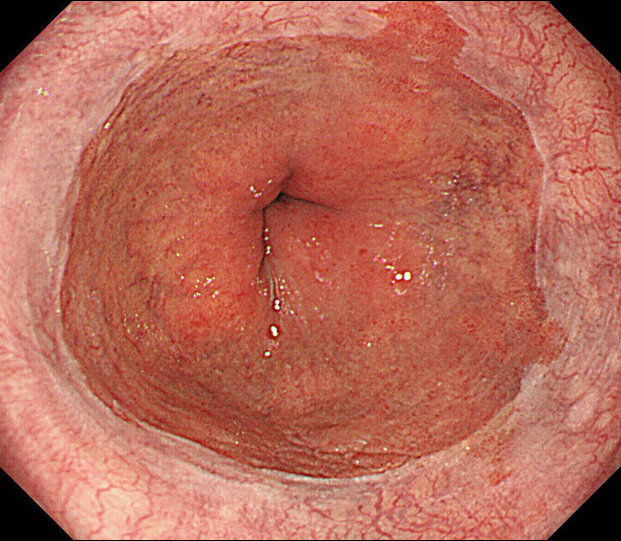 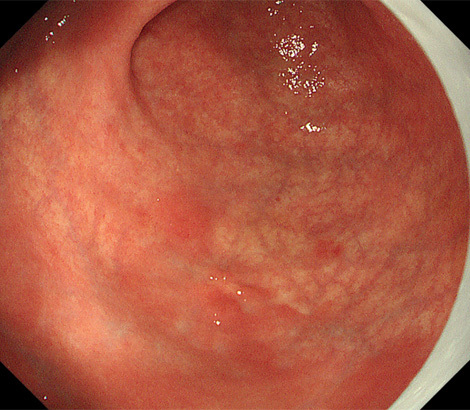 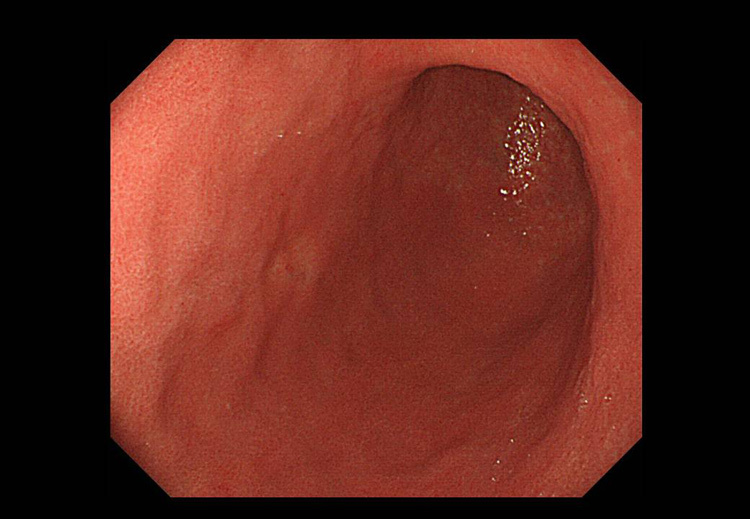 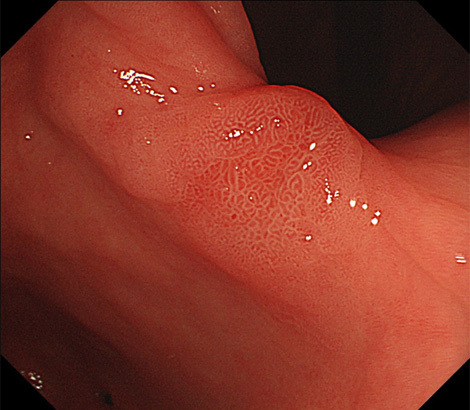 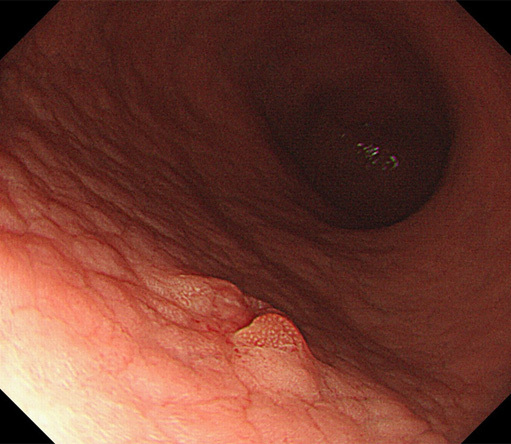 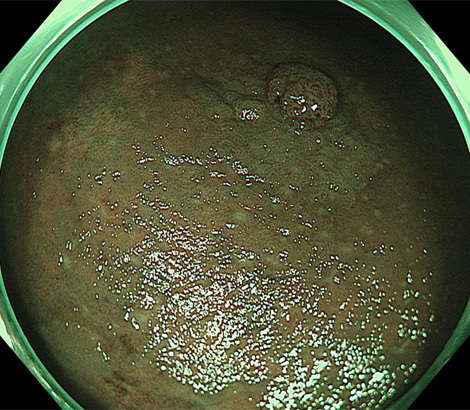 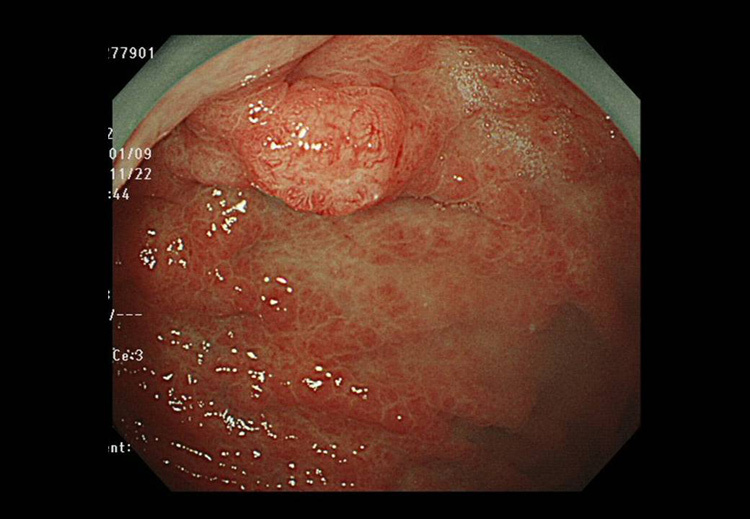 A gastric lesion was found by surveillance endoscopy. 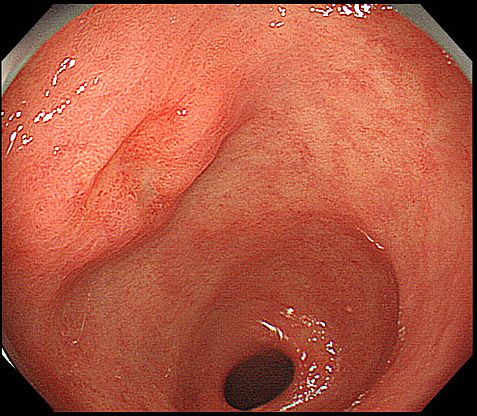 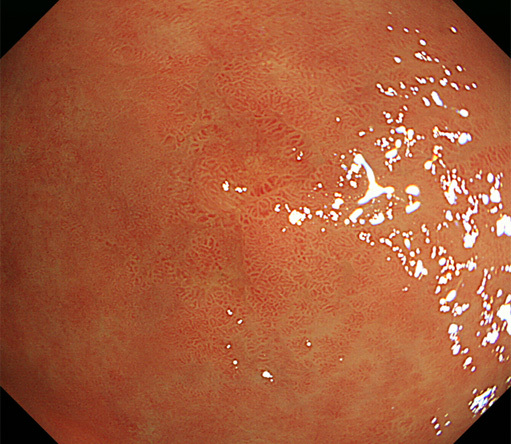 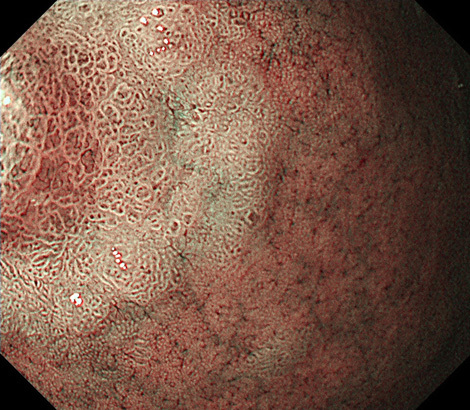 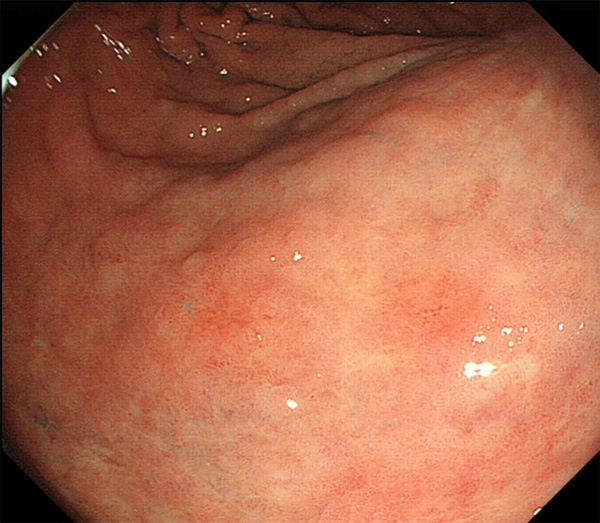 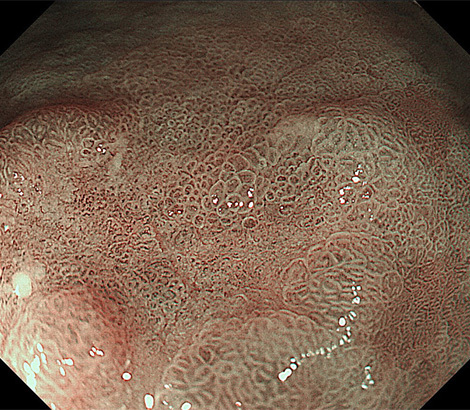 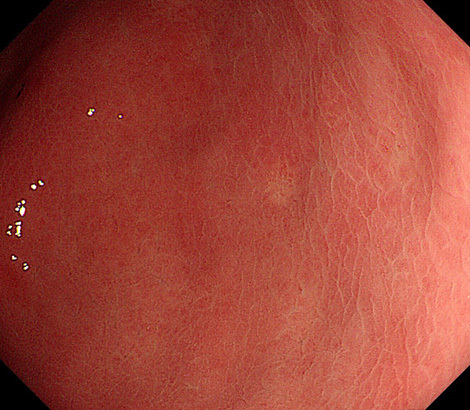 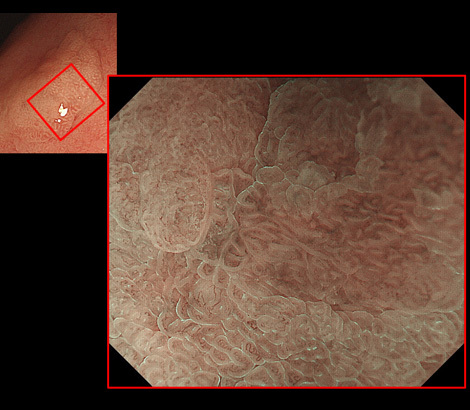 A reddish depressed lesion was detected at the 3rd portion of duodenum. The patient was referred to our institute for the detail examination. 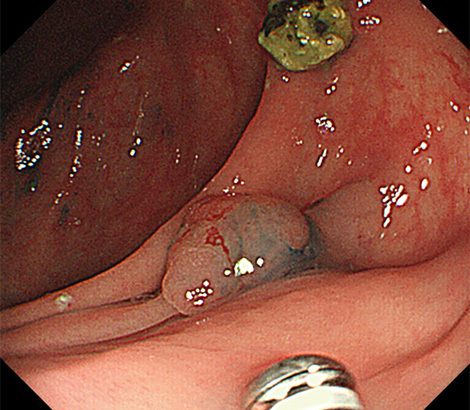 Biopsies weren’t taken in the previous hospital. 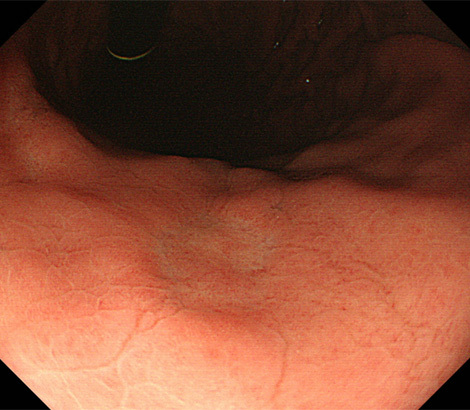 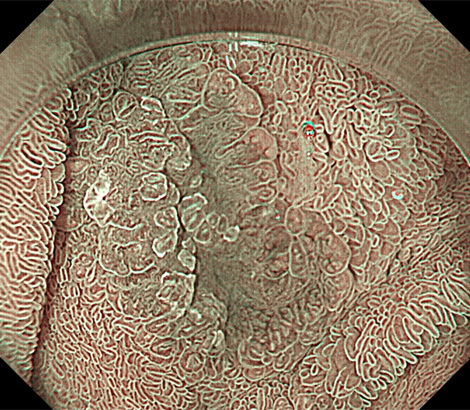 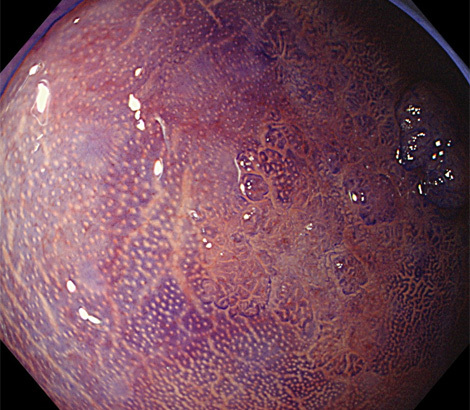 The patient had been treated as Ulcerative colitis for eighteen years. 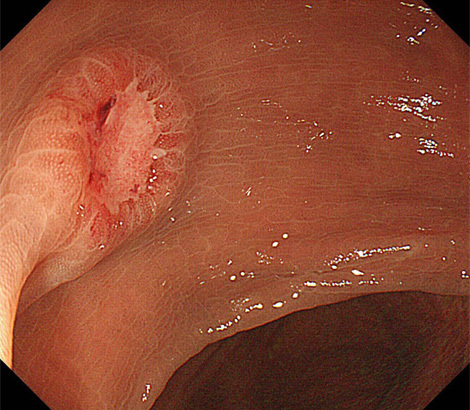 She underwent surveillance colonoscopy in clinical remission phase. 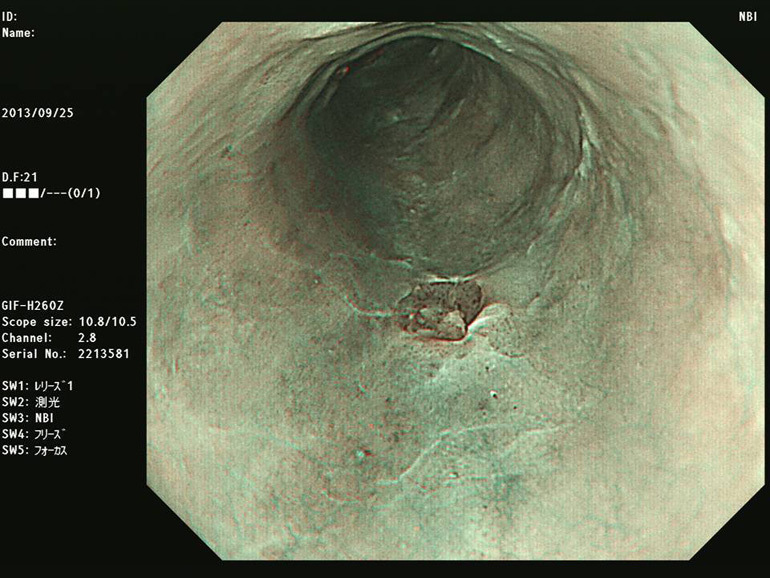 Copyright © 2001- Committee on Magnifying endoscopy All rights reserved.